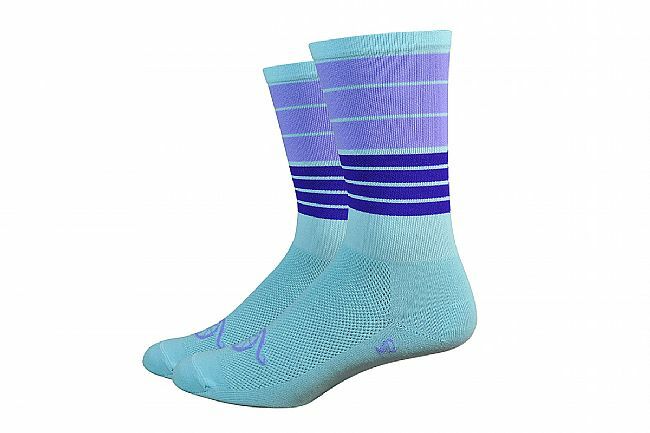 DeFeet's Aireator 6-Inch Socks with special design by Handlebar Mustache Apparel are not only stylish, but also thin and lightweight, making them a great option for close-fitting cycling shoes. This bright design increases visibility on the road for safer riding along with imparting a unique look. An open-mesh weave on the top of the foot provides excellent ventilation, while reinforced heel and toe areas ensure these performance socks can be worn for the long haul. They're knit with CoolMax® EcoMade™ fibers for excellent moisture-wicking. 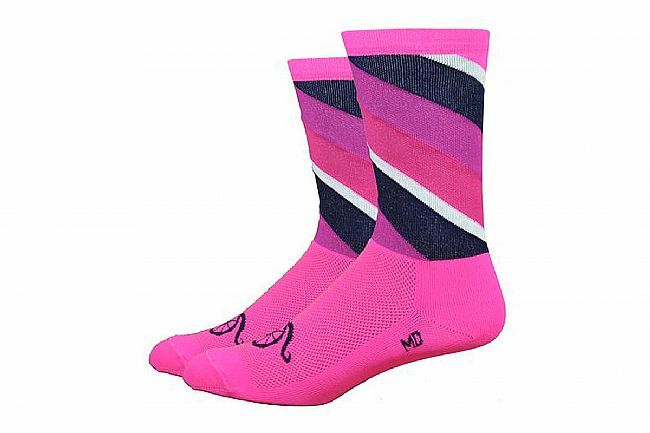 These socks are perfect for summer rides. They are light, thin, and breathe so they don't load up with sweat and feel clammy. They still have some compression so your feet don't swell after a few hours of pedaling. Horrible socks, just with trying on. Didn't even make it to the bike. Super Comfy and extra stylish.